The District Court in the Bulgarian town of Shoumen has remanded in custody a 33-year-old fine arts graduate who faces charges in connection with producing fake identity documents and passports for irregular migrants in Greece, the Appellate Prosecutor’s Office in Varna said. The court order is a sequel to the arrest of the man on April 10 in an operation by prosecutors and police as a shipment was being handed over at a fuel station in Shoumen. The accused was arrested while handing over a package to a courier company representative. The package, intended to be sent to Greece, was found to contain two Bulgarian passports and two identity cards, supposedly issued by the Bulgarian authorities. The Interior Ministry said that the fake documents, which were hidden inside a game console, were of “extremely precise quality”. At first glance, they were difficult to distinguish from real ones. 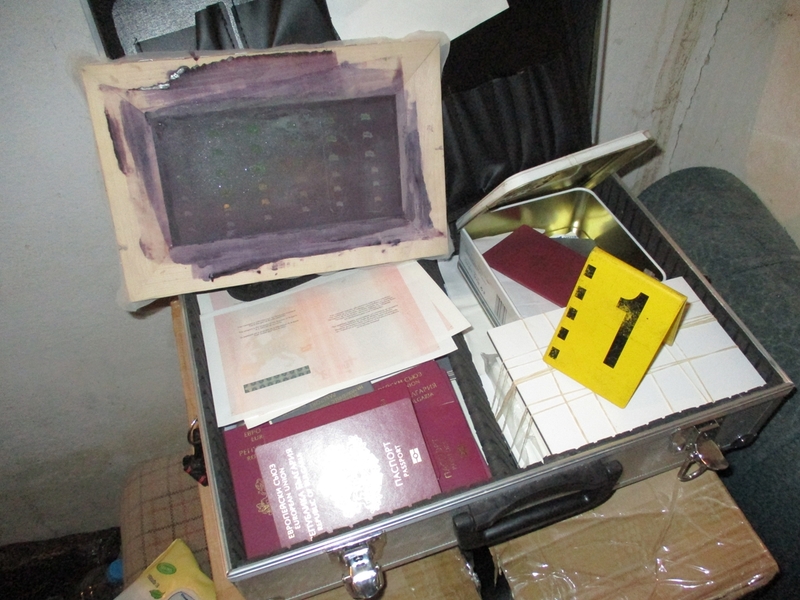 Searches of an apartment, studio, cellar, a house in the village of Salmanovo and a car resulted in finds of special paper, inks, various equipment, blanks for covers of Bulgarian passports and holograms. During the search of the farmhouse, 2.5kg of marijuana were found. Prosecutors said that the accused worked to order via the internet. He has been charged with faking official documents and for the possession of marijuana.